Ep. 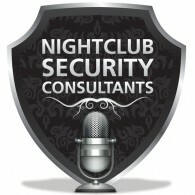 008 – Should Police Officers Work as Doormen at Bars and Nightclubs? Robert and Manny explore the question of whether or not off-duty police officers should work as doormen at bars or nightclubs. This is a follow up to Robert C. Smith’s blog on the same topic. Be better prepared next time you hire a guard or bouncer. – Hiring the right people for your organization is never easy. Hiring the right security guard is even more difficult!